Even relatively small to medium warehouses and industrial sheds can cost a lot to run, from insurance and maintenance costs to security and energy expenses. Older warehouses especially can seem like money pits, with excess energy bills and other high running costs coming from poorly maintained or damaged roofs, walls or faulty ventilation systems. Warehouses in harsh climates such as Western Australia can also be subject to fluctuating changes in temperature and extreme weather events that can take a heavy toll on such buildings. The key to reducing to the ongoing cost of operating a warehouse or industrial shed is to ensure that the building is in good working condition and has been fitted with the latest energy efficient products. These days there is a wide range of energy saving products you can use to update your warehouse to ensure it is as efficient as possible. It has been estimated that the installation of appropriate insulation in roofing and walls can help to save up to 40% on heating and cooling costs. A well-designed insulation solution can also reduce greenhouse gas emissions. In areas of extreme summer temperatures especially, warehouses and industrial sheds also benefit from careful exterior landscaping, including shady trees or sun shades. Good ventilation and air flow (but no drafts) provided by windows, opening skylights, ceiling and exhaust fans can help to reduce energy bills by reducing the need for cooling in summer and heating in winter. The Building Code Of Australia has set minimum requirements for the ventilation of buildings as a way to set standards and to help reduce energy costs. It is also to help prevent “sick building syndrome” which is where buildings suffer from poor ventilation and air-conditioning and develop issues such as mould, damp and moisture. Older warehouses and industrial sheds are often at risk of this and may need to be renovated or refurbished to bring them in line with current standards. Even if your warehouse or industrial shed is rarely occupied it has been found that lighting systems can be responsible for close to 50% of the building’s energy use. Upgrading to more energy efficient lighting products can not only reduce your electricity bill but also reduce maintenance bills. There are many interior and exterior options available, including linear fluorescents luminaires, LED’s, halogen lamps and metal halides, and each has their own benefits and specific uses. Also don’t forget that natural light can be used effectively in warehouse spaces with the right design and implementation. 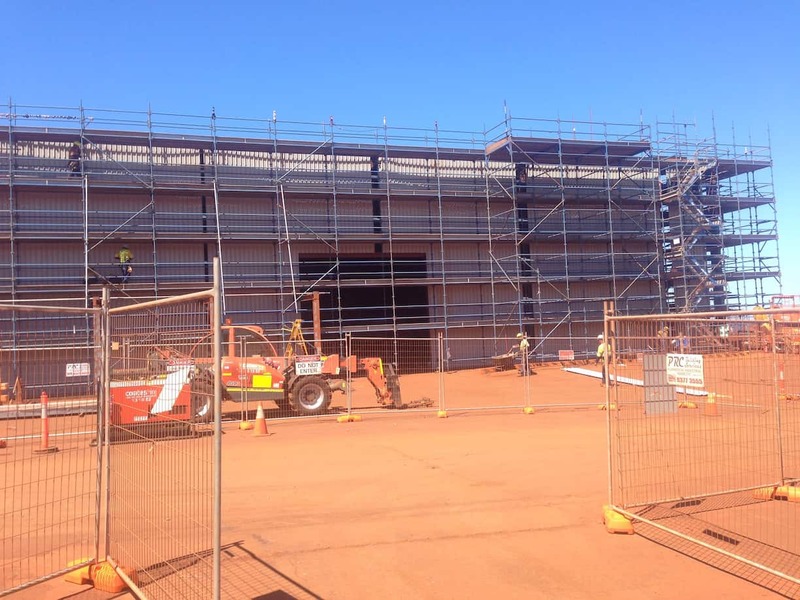 Industrial buildings in Australia have traditionally been built with galvanised and zincalume roofing, and while these materials are hard-wearing and require only minimal maintenance, they don’t reflect the Sun very efficiently. This means that more heat is absorbed into the building and the interior. In contrast, a Cool Roof will be coated with materials that reflect more of the Sun’s rays, meaning that it significantly reduces the amount of heat absorbed by the building. For example, it has been found that Dulux’s Cool Roof Commercial White reflects up to 90% of the Sun’s total light energy.